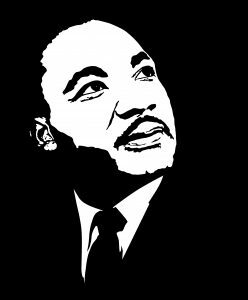 On this special day of remembrance for Dr. Martin Luther King Jr. we find ourselves also thinking about how Community Health Centers came into existence as part of a “ripple effect” from the Civil Rights Movement. A group of civil rights activists descended upon rural Mississippi to register voters as part Freedom Summer. What they saw and did there culminated in a fight for social justice and access to health care. 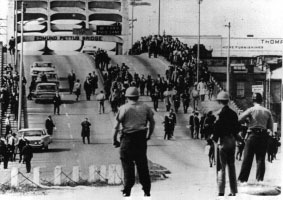 Alabama officers await demonstrators at the Edmund Pettus Bridge (1965).